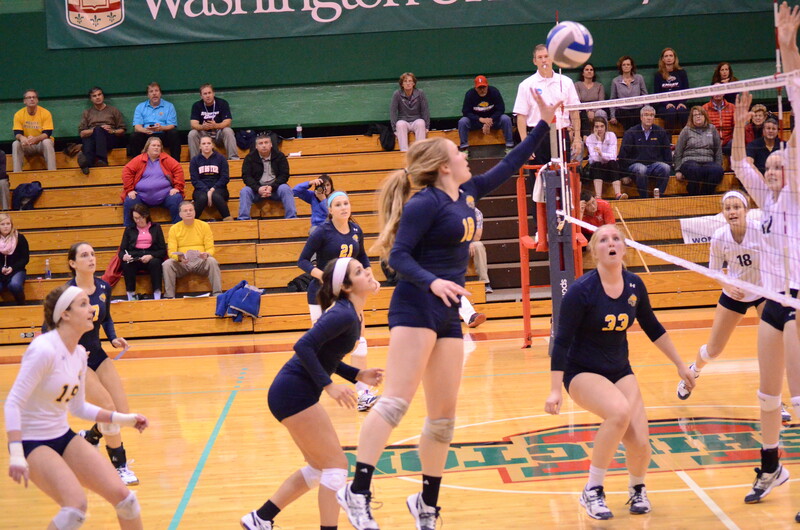 Webster University volleyball team defeated in NCAA division III tournament. 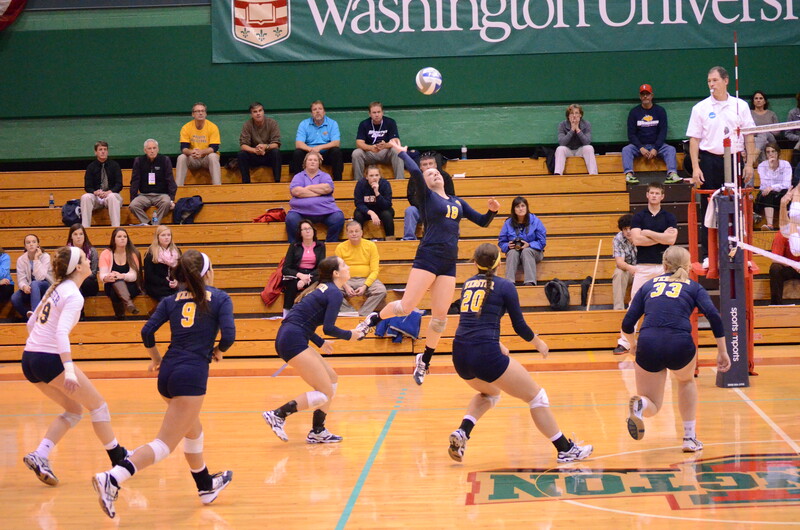 The Webster University volleyball team lost 3 sets to none against the No. 5 nationally ranked team in the country, Emory University (Atlanta, Georgia), on Nov. 14 at Washington University in St. Louis. The loss in the first round of the NCAA Division III tournament eliminates the Gorloks and ends the collegiate careers of nine seniors on the squad, the most Head Coach Merry Graf has ever coached in a single year. Four seniors, Allie O’Toole, Jordan Vehlewald, Kristen McDowell and Jenny Howard have played on the team since they were freshmen. In that time, the Gorloks have won the St. Louis Intercollegiate Athletic Conference (SLIAC) tournament four times in a row, but have never progressed past the first round of the NCAA tournament. In those games, Webster failed to win a set in the NCAA tournament. In the third set, Webster led the No. 1 seeded Emory 19-15. However, after Emory called a time out, the Gorloks were unable to sustain their lead and lost the game 25-22. On the night, senior Andrea Dwiggins led the Gorloks with eight kills. Senior Sam Kersting delivered six kills to go with three blocks, and junior Rachel Nelson added five blocks, most of which came in the run in the third set which helped Webster take a short-lived lead. Emory will advance to the next round of the NCAA tournament and face Thomas More College. Emory reached the NCAA Division III Final Four in 2013. Emory defeated Webster 25-19 in the first set, and 25-16 in the second set. Emory boasted a size advantage over the Gorloks with 11 players checking in at six feet or taller as opposed to Webster’s four. Kersting said that Webster’s plan to counterbalance the height advantage was simple. While Howard agreed that Emory’s height put Webster at a disadvantage, she said that Emory’s fast-paced offense posed more of a threat. Webster finishes the season with a record of 22-13.